Leverage is a double-edged sword. While it has the potential to magnify a trader ’s gains, it certainly has the potential to magnify losses as well. In fact, the greater the leverage, the greater the risk. Let ’s take a look at an example. Both Trader A and Trader B open an account with a broker and start trading with a capital of USD10,000. Trader A uses leverage of 50:1 while Trader B uses leverage of 10:1. Both traders then decide to sell EUR/USD because the ongoing sovereign debt crisis is putting some pressure on the euro. global financial crisis of 2008 to 2010, U.S. regulators moved to regulate the forex industry there. On October 18, 2010, the National Futures Association passed rules to limit the amount of leverage retail forex brokers can provide. The rules limited leverage to 50:1 on major currencies and only 20:1 on minor currencies. The forex market is the largest financial market in the world, trading in excess of USD4 trillion in a single day. Although hundreds of currencies change hands every day, most of the trading centers on seven major currency pairs. The currency pair that handles the highest volume of trade is the EUR/USD. A forex quote is always displayed in pairs. Examples include EUR/USD, USD/JPY, and AUD/CHF. The currency on the left is called the base currency while the currency on the right is called the counter currency. Almost all currency pairs are quoted to four decimal places, except when the Japanese yen appears in the counter currency. In such cases, the forex quote is displayed in two decimal places. 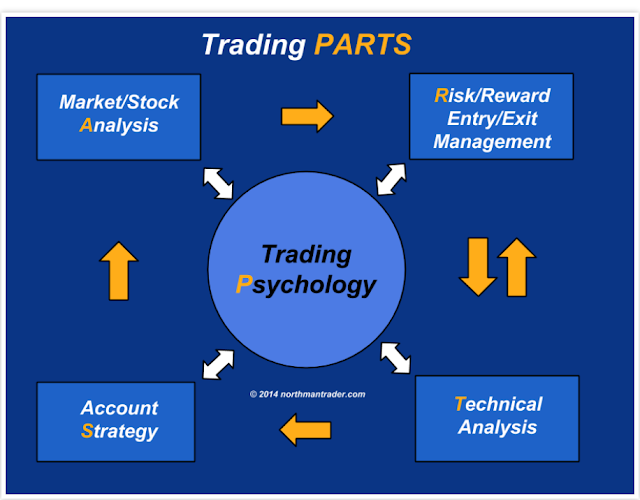 A pip is the smallest price movement in a currency pair. If the EUR/USD moves up from 1.3435 to 1.3436, this movement is called 1 pip. Similarly, if the same quote moves down from 1.3435 to 1.3434, the movement is also called 1 pip. Whenever the U.S. dollar appears as a counter currency, 1 pip earns the trader USD10 for one standard lot. Some forex brokers go one step further and quote prices to five decimal places. For such brokers, the EUR/USD quote could be seen as 1.34358. It is important for us to take note that the fi fth decimal place is not called a pip but a pipette. Quotes that have the Japanese yen as the counter currency are displayed in three decimal places instead of two in these cases. Brokers provide retail traders with leverage to trade the forex market. Without leverage, a trader would need to pay out USD100,000 to trade one standard lot of currencies. With a 100:1 leverage, a trader would need to put up only 1/100th of the entire amount, or USD1,000. This amount is called margin. Margin basically allows a trader to purchase a contract without the need to provide the full value of the contract. 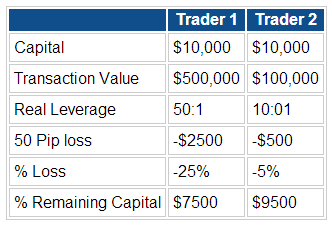 The higher the leverage employed, the smaller the margin required to trade one standard lot. Some brokers even offer leverage up to 500:1. This means traders need only USD200 to control USD100,000 worth of currencies. Leverage is a double-edged sword. Although it helps to magnify a trader ’s gains, it can also amplify a trader ’s losses. Hence, it is imperative that traders fully understand the pros and cons of leverage before deciding the appropriate amount of leverage to employ.